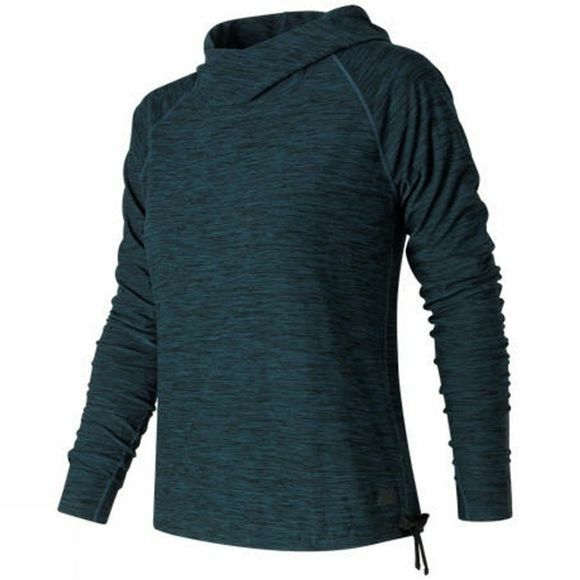 New Balance’s In Transit Pullover is not only fashionable but a functional addition to your workout wardrobe. The design of the pullover is made to give you a relaxed fit; and the fabric has high-contrast with in the space dye knit to give it an exceptionally soft feel. With a draw cord at the waistband it allows you to adjust the pullover to give you a comfortable fit, with a flattering silhouette. There are reflective trims to add visibility whilst you are out exercising.